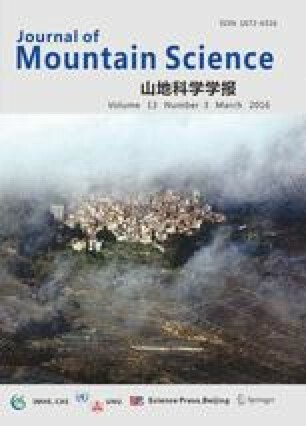 This study was carried out to investigate if on-farm cut vs. grazed pastures differed in soil fertility and species density in the temperate Himalayan highlands. Soil fertility and species relative density were measured from 30 cut and 30 grazed dairy pastures. In both types of pasture, soil pH, available phosphorus (P) and exchangeable potassium (K) were negatively correlated with pasture age and slope. In cut pasture, cocksfoot (Dactylis glomerata) and pasture age were positively correlated, whereas in grazed pasture, they were negatively correlated. In grazed pasture, unsown species and pasture age were positively correlated. Soil available P was significantly greater in cut pastures whereas soil exchangeable K was significantly greater in grazed pastures. In terms of species density, cut pasture had greater densities of cocksfoot and Italian ryegrass (Lolium multiflorum), whereas grazed pasture showed greater densities of white clover, sedge and local grass. Our study suggests that, if there are no improvements in the current method of pasture management, the cut pastures in the future are likely to have a simple pasture mixture constituting only cocksfoot and white clover (Trifolium repens). Whereas in grazed pasture, the pasture mixture is likely to be comprised of white clover and unsown species such as sedge, local grass and broadleaf weeds.